Welcome to Tobermory!!! Bruce Peninsula Ontario. Your One Stop Convenience Shop. PLEASE NOTE WE ARE CLOSED FOR THE SEASON. WE WILL OPEN BACK UP IN SPRING OF 2019. WE ARE TAKING BOOKING FOR 2019 SEASON THANKS. Gas & Automotive Supplies. Public Showers are available Coin operated. Firewood, Milk, Snacks, Groceries, fishing supplies and so much more. We are located across from the Bruce Peninsula National Park entrance. 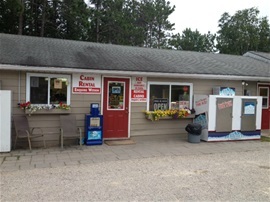 Roxy’s Gas & Variety located in Tobermory is your source for cabin rentals & camping supplies. Groceries and milk available at our store. Rent cabins or tent sites. buy groceries, firewood, gasoline, automotive accessories, snacks,camping supplies fishing tackel and so much more at Roxys. We look forward to helping you meet your travel needs. HOURS: THANKS FOR A GREAT SEASON. WE ARE CLOSED FOR SEASON. lOOKING FORWARD TO SEEING YOU IN SPRING OF 2019. We stay here annually. The price is fair . Craig and his staff are always friendly and helpful .... The showers are kept clean . The cabins are cute and cozy . love this place , the owners and staff are friendly, awesome cabins and tent sites, on site showers close to all in Tobermory. Our family had such a great time staying here for Canada day long weekend. Already planning our next trip... will be calling this week to set that up. Thanks!! This is the place to be honestly, very cozy nice hot showers everything is clean. I will definitely be going back thanks Craig!! loved staying here, owner Craig is very nice and the cabin is very cozy! 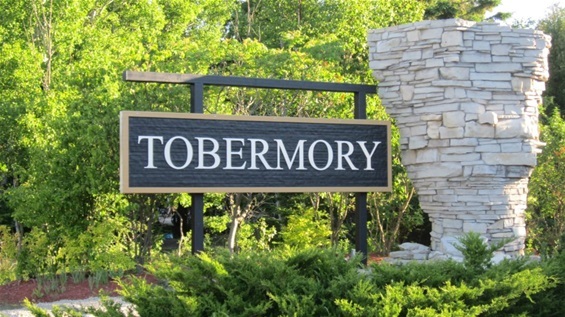 So close to all the attractions of tobermory and when we were there we felt at home. Honnestly the best place to stay close to everything!! Hot shower, and clean too! The place is clean and the owner is the best you can get! We loved it! Stayed in aug 2014 for two nights. we have three cabins. Nice and quiet place. clean washrooms and hot showers. will be returning in winter. thumbs up Craig. My boyfriend and I stayed at Roxy's and loved it. 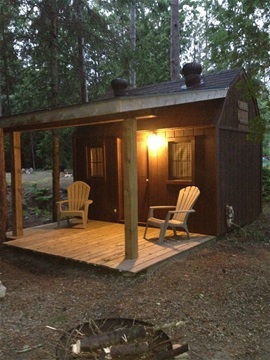 Staff were very friendly, washrooms and showers, super clean and the cabins were perfect! We had a great time and will be back! We love the cabins and they are so close to the reasons we spend our time up there. Can't wait to come back.